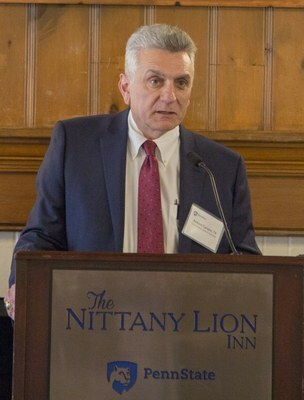 Robert P. Caruso serves as the Executive Director of the State Ethics Commission and is the longest tenured Commission employee, having been continuously employed by the Commission since August 1982. Prior to his current position of Executive Director, Rob held a variety of positions with the Commission including Special Investigator, Director of Investigations, Deputy Executive Director and Executive Director since 2013. Rob earned his undergraduate degree in Law Enforcement from Penn State and his master’s in Criminal Justice from Indiana University of Pennsylvania. 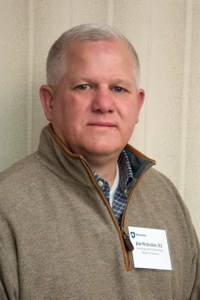 He maintains numerous certifications in the areas of interviewing and interrogation, financial investigations, and analytical investigative techniques, and is active in the Council on Governmental Ethics Laws, an international group dedicated to improving governmental ethics. During his extensive career with the State Ethics Commission, Rob has reviewed and processed over 14,000 complaints and has directed over 2,000 investigations, including serving as the lead investigator in the first prosecution of public officials charged under the Ethics Act. This culminated in the convictions of Allegheny County Commissioners for selling votes in return for official action to approve the development of the Ross Park Mall. He also led the investigation of a high-level state employee for accepting bribes in return for the award of technology grants (resulting in 5 federal convictions), and the investigation of former State Representative Jeffrey Habay, which led to a criminal conviction that provided the legal basis for the “Bonusgate” investigations. Most recently, Rob led the Commission’s investigation of high-ranking Pennsylvania Liquor Control Board officials, resulting in federal prosecutions and fines in excess of $9.5 million to liquor vendors. He continues to serve as an expert witness in multiple state and federal criminal trials. Rob and his wife Paula live in Harrisburg and have a son who is a Penn State graduate. 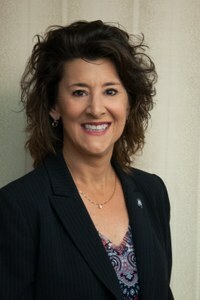 Nancy Lauer holds a Bachelor of Science Degree in Administration of Justice from Penn State University and a Master's Degree in Public Administration from California State University, Long Beach. She is a graduate of the Federal Bureau of Investigation National Academy and the Boston University Senior Management Institute for Policing. Nancy served on the Los Angeles Police Department for 29 years where she was recognized as a results oriented leader with a passion for community service. She substantially reduced crime and associated urban blight in each of her LAPD commands by building strong community partnerships, and creating and implementing innovative crime and traffic collision reduction strategies. As a traffic commander, Nancy founded the Traffic Assistant Scene Investigator (TASI) Program for LAPD's cadets, ages 13-20 years old. Since its inception, over 500 cadets have received specialized training in traffic safety and collision investigations. While the commanding officer of Criminal Gang and Homicide Division, Nancy conceived of and launched the LAPD's Homicide Library in partnership with the FBI. The project, which digitized hundreds of LAPD homicide cases, has resulted in numerous "cold case" arrests, some decades old. In an effort to build trust in minority communities, Nancy created the Faith Based Network in south-central Los Angeles, whereby she and her officers spoke from the pulpit on policing issues most relevant to the community. She ensured compassionate partnerships with the Justice for Murdered Children, Project Cry No More, and Justice for Homicide Victims family advocacy groups. In her final command, Harbor Division, Nancy's team of over 285 sworn and civilian personnel finished in the No. 1 position of LAPD's 21 commands with an 11.1% reduction in Part 1 Crime. Nancy was commended by the Chief of Operations who wrote, "...through your steadfast and caring guidance you have helped save lives and created healthier neighborhoods." Nancy is currently a Parks and Recreation Commissioner for the City of Signal Hill. She is an active volunteer in the Signal Rotary Club where she holds the positions of Service Projects Coordinator and Interact Club advisor. Nancy sits on the board of the Penn State Department of Sociology and Criminology Board of Visitors and was the 2017 Outstanding Alumni Awardee. Kevin M. Deasy is Associate Dean of Students and Associate Professor of Legal Writing at the University of Pittsburgh Law School. He holds a BA in Social Welfare and Psychology from Penn State, and an MSW and JD from the University of Pittsburgh. Kevin’s areas of interest include academic support for students from underrepresented groups and use of short fiction to help students improve their persuasive writing skills. In his role as Dean of Students, Kevin provides students with both academic and counseling assistance. In addition, Kevin serves as faculty adviser for the Law School’s Client Counseling Program as well as the joint JD/MSW program with the School of Social Work. He also oversees the Marshall-Brennan Constitutional Literacy Project, a joint effort of the Schools of Law and Social Work in which law students teach constitutional law classes at local high schools in economically-disadvantaged neighborhoods. Kevin is also active with the Council on Legal Education Opportunity, a national program that works to increase diversity in legal education and the profession. Kevin has mentored numerous students through Penn State’s Liberal Arts mentor program and remains active with his alma mater. His primary hobby is O-gauge model railroading, with a particular interest in railroads that served the Appalachian coal region of southwestern Virginia. He and his wife Rebecca Phipps reside in Pittsburgh. Corporal Bryon K. Dickson was a 2003 Honors graduate in the Administration of Justice program at Penn State, and was selected as the Student Marshal for his academic achievements. He began his college education at Penn State Worthington Scranton where he was a Lion Ambassador, participated in the Veterans Club, and started for the men’s baseball team. Cpl. Dickson met his wife, Tiffany, at the Worthington Scranton Campus. He served his country and state honorably as both a U.S. Marine and as a Pennsylvania State Trooper. Upon graduation from the Pennsylvania State Police Academy in 2007, he was stationed at Troop N, Fern Ridge, where he was assigned to conduct aggressive patrol operations throughout Monroe and Carbon counties. His passion for removing impaired drivers from our streets led him to complete his Drug Recognition Expert certification. In doing so he became one of the few highly trained troopers tasked with identifying drug-impaired drivers. 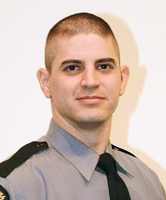 During this time he also achieved pistol master, motor carrier safety assistance program-MCSAP, was nominated for the Trooper of the Year award, and attended the presidential inauguration. In July 2013, Bryon was promoted to Corporal and assigned to Troop K, Philadelphia. A year later, he was transferred to Troop R, Dunmore where he served as a patrol unit supervisor. Cpl. Dickson’s End of Watch sadly occurred on September 12, 2014. Michael Ostroff, originally from Philadelphia, splits his time between Florida and New York. A Certified Fundraising Executive (CFRE), he is the founder and principal of The Ostroff Group (TOG), a consulting firm that works exclusively with domestic and global non-profit organizations to help them achieve their organizational and philanthropic goals. The firm has an extensive track record of success working with a broad range of clients in the cultural, educational, health, human service areas and with the Jewish community. Services of The Ostroff Group include comprehensive financial resource development programs focusing on annual, capital and planned giving programs, board/leadership development, strategic planning and marketing. Michael’s fundraising career spans 35 years and he has played leadership roles in campaigns that have collectively raised in excess of $1 billion. Prior to forming The Ostroff Group, Michael worked on behalf of community organizations in Cleveland, New Jersey, Rochester, Montreal and Boca Raton. With a keen understanding of volunteer and donor motivation, Michael specializes in major gift solicitation, campaign and strategic planning, coaching of nonprofit professionals and volunteer/board training. He is a frequent presenter on those topics in North America, Europe and Israel. 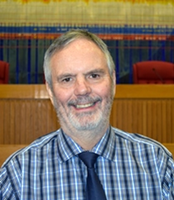 Michael holds a BA in Social Welfare from Pennsylvania State University, an MSc in Social Administration from Case Western Reserve University, and an honorary doctorate from the Hebrew Union College. 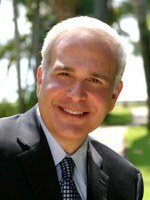 He serves on several non-profit boards, has three adult children, two grandchildren and is married to Esther Rosenberg. 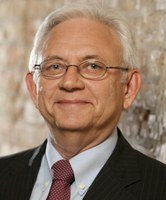 Delore earned his doctoral degree in Sociology from the Pennsylvania State University in 1986 where his research focused on the mobilization of territorial-based alliances for economic development. Delore is a founder and President of Praxis Strategy Group a research, policy, strategy and development company that works with leaders, innovators and entrepreneurs in business, government and education to create more opportunistic and competitive ventures and communities. Delore has served as the principal investigator on eight competitively awarded Small Business Innovation Research projects to develop leading-edge practices and tools for development professionals and community leaders to build innovation-based economies. He has worked with hundreds of entrepreneurs and companies to start and grow their business. Since 2004 Delore has served as the Executive Director of the Red River Valley Research Corridor, a regional development effort to catalyze a more science and technology-based economy. In 2009 he co-founded Praxis Africa, a farm, food and ag communications enterprise headquartered in Accra, Ghana. As the result of his work in rural Ghana Delore was installed as the Development Chief for the Awutu-Mankessim traditional area in Central Region in October 2011. His stool name is Nai Awuah Kotoko. Delore serves as a board member on several technology companies. He has served as the Honorary Vice Commander at the Grand Forks Air Force Base for six years. Delore is a native of Wishek, North Dakota and holds undergraduate and graduate degrees from the University of North Dakota. He is married to Sonia Zimmerman, Ph.D., OTR, an Associate Professor of Occupational Therapy at the University of North Dakota. They have two adult children, Ian and Rachel, and a grandson Levi. Delore enjoys traveling, sailing, reading science fiction and playing guitar. James McJunkin received the Outstanding Alumni Award. James is a 1982 graduate of Penn State, where he earned a B.S. in Administration of Justice. He began his professional career as a state trooper with the Pennsylvania State Police. During his 25 year career with the Federal Bureau of Investigation (FBI), he served in the San Antonio, Atlanta, and Washington, D.C. field offices, and held significant leadership positions at FBI Headquarters. After the terror attacks of September 11, 2001, he was promoted to the Counterterrorism Division at FBI Headquarters where, over the course of just nine years, he held several positions of unit chief, including assistant director at FBI Headquarters, acting special agent in charge, and assistant director in charge of the Washington (D.C.) Field Office, the FBI’s second largest. In 2004, Director Robert Mueller personally appointed Jim to direct a multi-agency task force assembled to thwart an Al Qaeda-sponsored terror attack against the US Homeland. He was later recognized as the recipient of the US Attorney General's Distinguished Service Award in connection with his leadership of this task force. Jim guided FBI efforts in Iraq and Afghanistan in direct support of the US Military, and he supervised all FBI counterterrorism operations worldwide. He has traveled extensively and built lasting relationships and partnerships with foreign intelligence and law enforcement agencies in those countries. He retired from the FBI in 2012 and currently serves at Director of Corporate Security for Discover Financial Services. He now lives in a quiet suburb north of Chicago with his wife Carla and their three children, James Jr., Jared, and Jon. Laura Tach received the Young Alumni Award. Laura is an assistant professor in the Department of Policy Analysis & Management at Cornell University. Laura graduated from the Schreyer Honors College at Penn State in 2004 with a B.A. in Sociology and minors in Statistics and African & African American Studies. She received her Ph.D. in Sociology and Social Policy at Harvard University in 2010. Prior to joining the faculty at Cornell, Laura was a Robert Wood Johnson Foundation Health & Society Scholar at the University of Pennsylvania. Laura’s research examines how social policies affect urban poverty and family life. With funding from the Department of Housing and Urban Development, the National Science Foundation, and the Robert Wood Johnson Foundation, she has conducted studies of mixed-income neighborhoods and poverty deconcentration policies. With funding from the National Institutes of Health and the Ford Foundation, she has also studied family instability and economic coping strategies among the urban poor. Her recent articles appear in journals such as Demography, Annual Review of Sociology, Social Problems, and the Annals of the American Academy of Political and Social Sciences. She has also served as a consultant on projects for the National Academy of Sciences, the National Science Foundation, the Department of Housing and Urban Development, and the Urban Institute. Laura resides in Ithaca, New York with her husband Matthew and son Dexter.